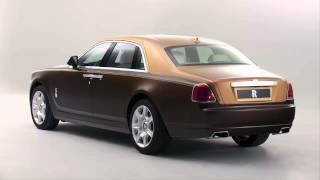 One of the main attractions at this year's Geneva Auto Show was the Rolls Royce Ghost 2012, the next generation of the luxurious sedan which first debuted back in 2009. Although the 2012 Rolls Royce Ghost undergone many changes in order to satisfy even the most demanding client, Rolls Royce has gone one step further and unveiled the Rolls Royce two-tone Ghost, which as the name suggests, comes in a two-tone paint job and that little extra which separates it further from the average luxurious sedan. Underneath the thick layer of luxury resides the chassis of a BMW 7-series upon which the Ghost has been built. The wheelbase of the 2012 Rolls Royce Ghost is 5,400 mm and the entire car weights roughly 5,000 lbs. 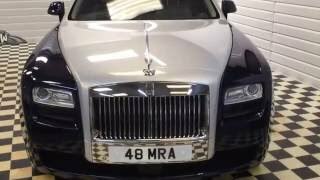 Although initial reports indicated that the 2012 Rolls Royce Ghost will feature a BMW 4.4 liter twin-turbo V8 engine, the model exhibited at the Geneva Auto Show packed a new turbocharged V12 engine which supposedly was built based on the BMW V8 engine. The new beefed up 6.6 liter engine is able to develop 563 horsepower and 575 lb-ft of torque. 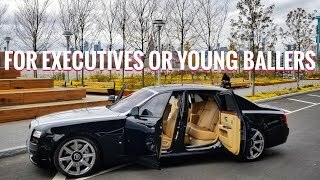 The transmission consists in an eight-speed automatic gearbox which sends the power to the back wheels, and the result is a two ton Rolls Royce able to go from 0 to 60mph in just 4.7 seconds and reach the top speed of 155 mph. No doubt it could do more than that, but the Rolls Royce Ghost 2012 has been electronically limited to 155 mph. Now, focusing on the difference between the Ghost and the two-tone Ghost, the later one comes with a unique two-tone color scheme, and although the model exhibited at the Geneva Auto Show came with an Infinity Black and Cassiopeia Silver color scheme, a two-tone Rolls Royce featuring Baynunah Brown finishing, with Arizona Sun on top has been recently sold in the Middle East. Furthermore, the two-tone Rolls Royce Ghost 2012 manages to differentiate itself on the interior as well, the model exhibited at Geneva offering lambswool floor mats, seashell headlining complemented by black leather frames with black stained ash veneer featuring handcrafted steel pinstripes. 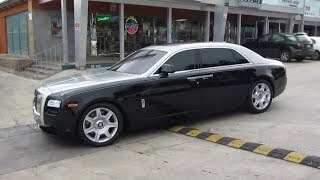 Overall, the two-tone Rolls Royce Ghost 2012 is a masterpiece and a display of both power and luxury. 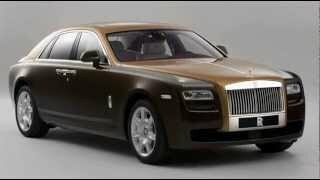 The two-tone Rolls Royce Ghost mixes the two perfectly. It offers a sumptuous design complemented by a sporty 6.6 V12 engine underneath.